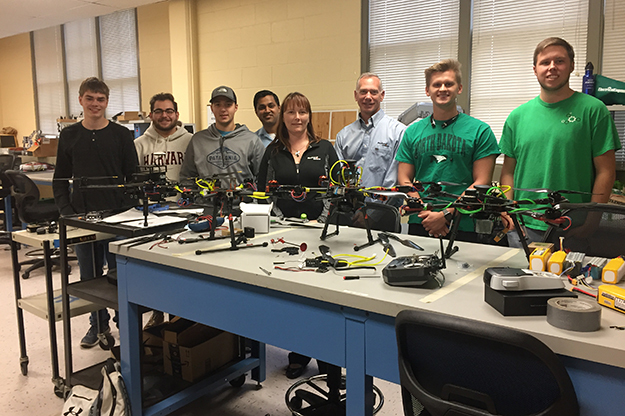 (Left to right) Martin Pozniak, Megan Larson, Mason Nehring, and Joseph Schwalb and undergrads in UND Assistant Professor Prakash Ranganathan’s Data, Energy Cyber and Systems lab. The lab students are taking on academic research earlier than most, publishing a combined 15 peer-reviewed papers and articles on a wide range of topics, including cyber security, social engineering attacks and impacts, GPS spoofing and exploitation, demand-forecasting for electricity pricing, and smart-home vulnerabilities. Image courtesy of Prakash Ranganathan. 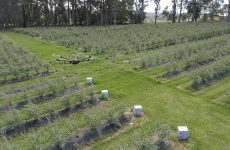 Prakash Ranganathan said a significant number of first-year university students are so overwhelmed by the academic process that they don’t realize the world of research is an option for them from the start. And that is exactly what Ranganathan has been doing within his own division at UND and with great success. A team of SEECS students, many undergrads, from Ranganathan’s research group, recently published 15 peer-reviewed papers and review articles on a wide range of topics, including cyber security, social engineering attacks and impacts, GPS spoofing and exploitation, demand-forecasting for electricity pricing, and smart-home vulnerabilities. The work of the SEECS undergraduates also has led to a number of research conference appearances and published pieces in academic journals. 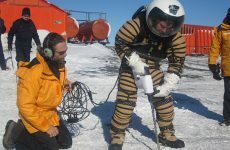 “Engaging in the unique opportunities offered in this publishing journey has broadened my perspective on various security issues and introduced me to the field of research,” said Jason Pollack, who lives in New Mexico and is a UND distance learning student in the SEECS. Ranganathan (right) with UND electrical engineering student Jason Pollack. 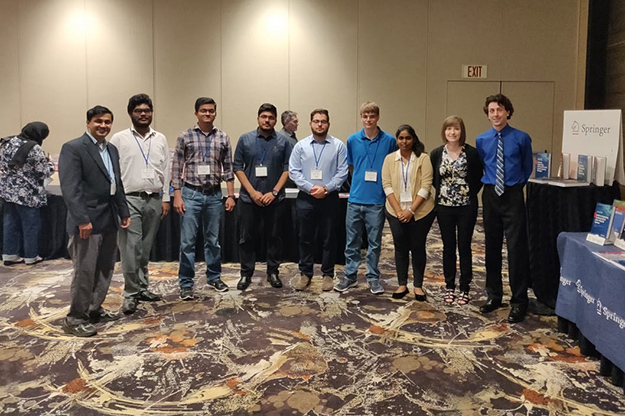 Over the summer, SEECS students attended the 2018 World Congress Computer Sciences Conference in Las Vegas, the largest academic gathering for computer sciences students and faculty. 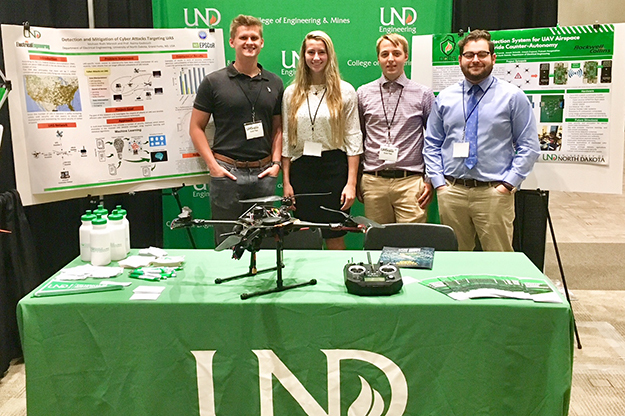 Also UND students attended the IEEE General Power Meeting in Portland, Ore., the world’s largest technical professional group dedicated to advancing technology for the benefit of humanity; as well as CyberCon 2018, Drone Focus 2018 in Fargo, and the UAS Summit in Grand Forks. All this activity is making UND’s SEECS fertile ground to recruit grad students. Some of Ranganathan’s students are currently pursuing graduate school offers at UND, Princeton University, Worchester Polytechnic Institute, and the University of Minnesota, just to name a few. Ranganathan’s students, who are exposed early to state-of-the-art research problems, also have easily found co-ops and internships that often lead to full-time careers with companies, such as 3M, IBM, Northrup Grumman, United Technologies, Rockwell Collins Corp., Minnkota Power, National Labs and many more. (Left to Right) David Johnson, Joseph Schwalb, Mason Nehring, Ranganathan, and Martin Pozniak and Eli Vettel (wearing green shirts) pose for a photo with two representatives from Rockwell Collins Corp. Ranganathan’s students routinely find co-ops and internships that often lead to full-time careers with companies such as Rockwell Collins. Image courtesy of Prakash Ranganathan. Martin Pozniak, a senior electrical engineering student from Elk Grove, Ill., like the meaningful impact that he has on real-world projects in Ranganathan’s labs. 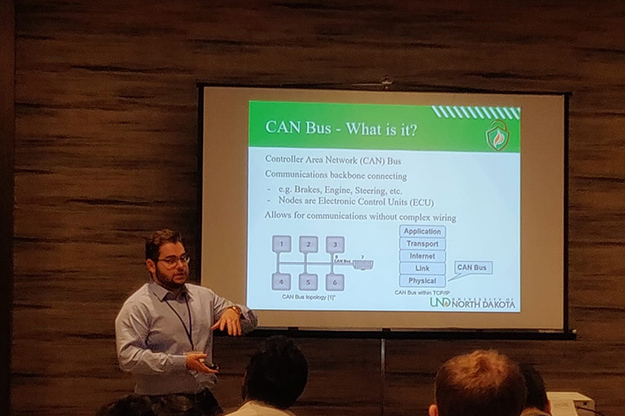 UND junior Joseph Schwalb presents research that he conducted in UND’s Data, Energy, Cyber and Systems lab with other UND students, at the 2018 World Congress Computer Sciences Conference in Las Vegas. Image courtesy of Prakash Ranganathan. Ranganathan contends that students who participate in important research work early in their academic careers also tend to score better on classroom exams. This academic success spills over to the collaborative side of the research taking place among students in his labs. It’s experience that will serve them well whatever their futures hold. (Left to Right) Prakash Ranganathan, Jaya Balaji, computer science student at MGR University in Chennai, India, who spent three months at UND in Ranganathan’s lab; Arun Sukumaran Nair, Ph.D. student in electrical engineering at UND; Karthick Sadatcharan, UND research scholar; Joseph Schwalb; David Johnson; Jaya Preethi, also a computer science student from MGR University in India; and Katelyn Koiner and Andrew Rosener, both research scholars at UND. 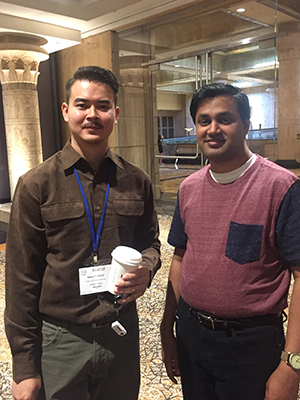 Image courtesy of Prakash Ranganathan, from the 2018 World Congress Computer Sciences Conference in Las Vegas. 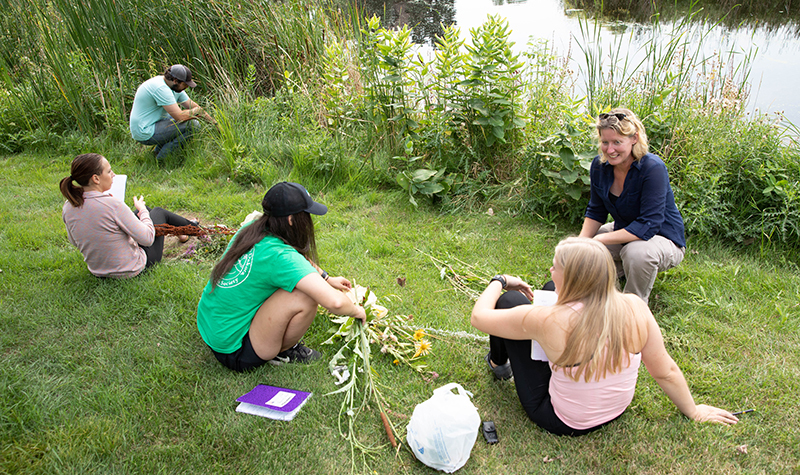 Funding for the research activities of Ranganathan’s students come from a variety of sources, including the National Science Foundation, UND College of Engineering & Mines Dean’s Office, Wells Fargo Foundation and Rockwell Collins Corp.